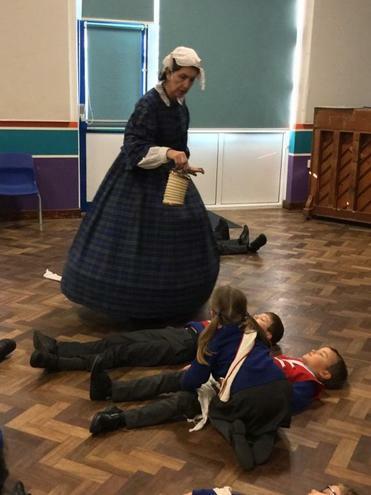 Year 2 were very lucky on Monday 28th January as a someone from the past came to visit. Florence Nightingale dropped in to Butlers Court to tell us all about her life. We really enjoyed learning about her equipment and she showed us pictures of life in her times. She even let us dress up as soldiers and nurses, taught us a proper bedside manner and demonstrated how working in Scutari hospital was not very nice! Her visit allowed us to develop what we already knew from our Famous Faces topic and we really enjoyed travelling back in time.